In the heat of battle, you depend on your artillery to perform under harsh, stressful conditions. After all, your troop's lives and the mission are at stake. The same goes for your electronic equipment—you need tough, rugged components that are reliable to the core...and the corps. 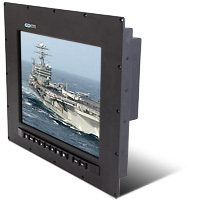 At General Digital, we manufacture rugged military LCDs and computer monitors that perform to the same high standards to which you hold your troops and weaponry. 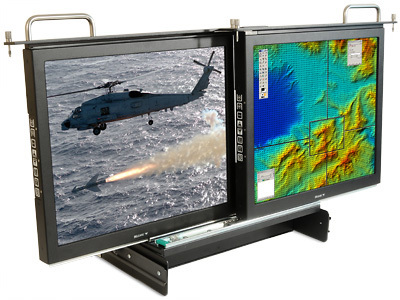 Created to meet or exceed current military standards—including MIL-DTL-901E (formerly MIL-STD-901D), MIL-STD-810F and MIL-STD-461E—our rugged LCD displays and computer monitors effortlessly endure the harsh battlefield conditions so you can focus on your mission without the worry of electronic system failure. You can count on General Digital military monitors to survive the harsh conditions you encounter day after day—and see you home once your mission is accomplished. Our service men and women deserve only the best and that means the most durable, reliable electronics to see them through battle—or even just travel. Call General Digital at 800.952.2535 or Contact Us for more information, to ask a question, or get a quote on customized, rugged military LCD displays and monitors. At General Digital, we produce the finest rugged military displays available on the market for the U.S. armed forces and her allies. 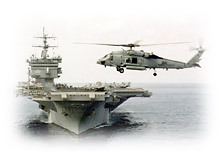 Every rugged monitor that we produce is uniquely equipped with highly specialized capabilities for use within tanks, armored personnel carriers, Humvees, submarines, aircraft carriers, helicopters, fighter jets and all types of land, marine, air, space and autonomous vehicle systems. 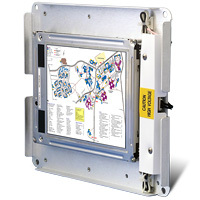 These rugged LCD innovations continue to prove indispensable as the military continues its development of on-the-move intelligence systems, threat detection, surveillance and suppression operations. Therefore, every General Digital military-grade LCD monitor and ruggedized peripheral can be customized to meet the rigorous demands presented in the modern warfare theater. General Digital's reputation for going above and beyond military standards means we utilize in-house equipment for engineering, design, testing and validation of all of our rugged LCD displays. 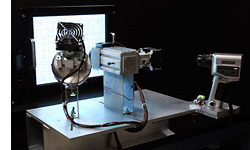 Quality control inspection is performed on 100% of all General Digital’s manufactured products, not on a sample lot. This proves invaluable for today's modern and future war fighter since life and limb depends on equipment that works EVERY time, ALL of the time, regardless of the harsh environment. General Digital designs and builds in the United States of America, so you know you’re getting robust and dependable flat panel military LCD monitors and accessories. Our monitors will last for years, long after the others have succumbed to the elements. Below is a list of our heavy-duty product line, which will suit just about any requirement you have. And if it doesn’t, we’ll build it for you. We appreciate all the hardships that our young fighting men and women must endure. They deserve the best America has to offer to keep them safe and sound, and General Digital is proud to supply them with rugged tactical display equipment upon which they and their battalion can depend. In fact, the General Digital philosophy remains as true today as it was in 1973—to listen to you, our valued customer with respect for your needs, and then provide you with superior products and services that remain in top-notch working condition until the end of your mission—and beyond. 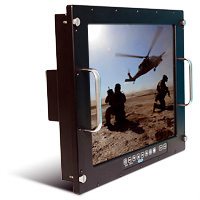 With so many available rugged military display options available for the armed forces, we are happy to help you, the military professional, develop an individualized rugged monitor display system that matches your unique battlefield needs. Call us today at 800.952.2535 or fill out the Contact form to speak to a qualified Sales Engineer to determine which systems are best suited to your requirements.